Welcome to another fun night of craft reveals! The competition among the Mystery Craft Challenge participants is really heating up. I mean like literally, someone took a blowtorch to their mystery craft item last night! Hmmm...I'm thinking next year I may need to make sure everyone's insured! Need to play catch up? Here's Rounds One and Two project reveals. 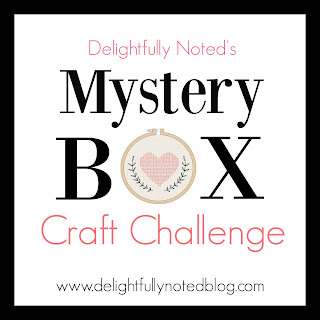 Wondering what prizes the crafters are vying for? I got that for you too! so let's ooh and aah over a few more creatively, fun reveals! 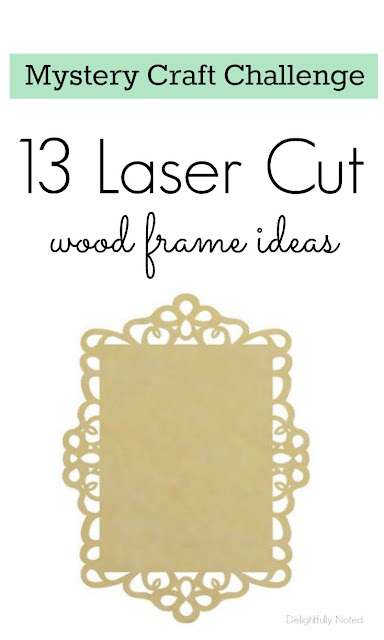 Remember everyone was sent a laser cut wood frame to work with from yours truly. Let's see what these ladies did with them! Tonight's first reveal is from Jen of My Purposed Place. 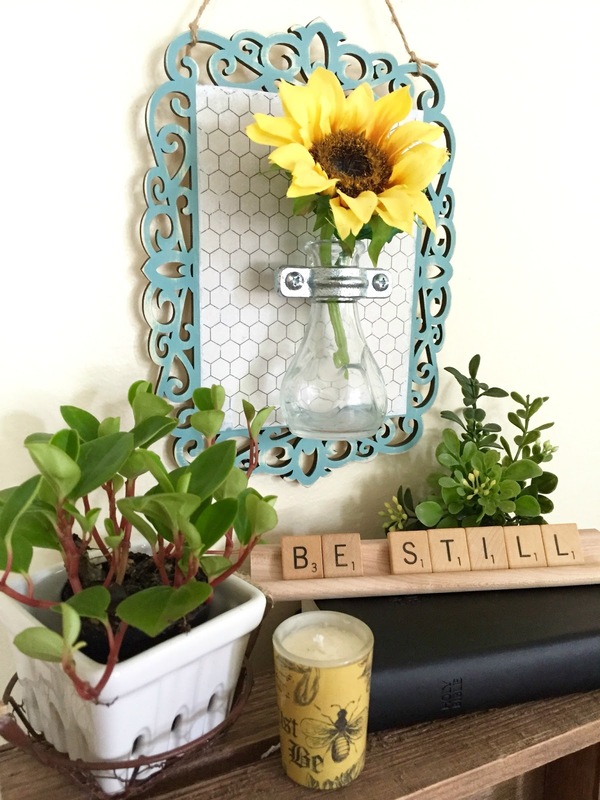 You can find her sharing her cute home and all kinds of cheerful decor ideas over on Instagram. 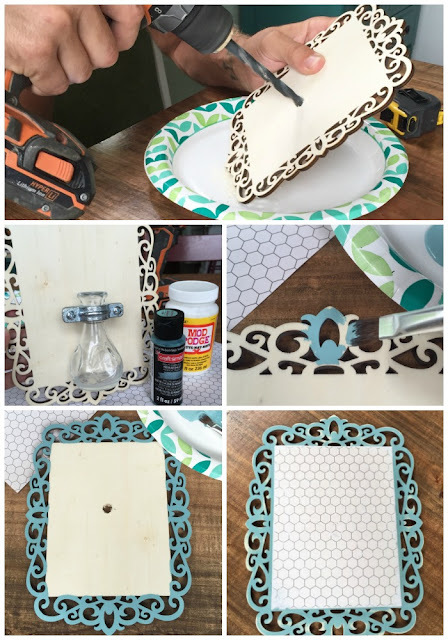 Jen is a SAHM to 6 boys and so I was quite certain she was going to invent and submit some kind of pretty toilet contraption that cleans up after, well, you know, boys BUT instead she came up with something much better! 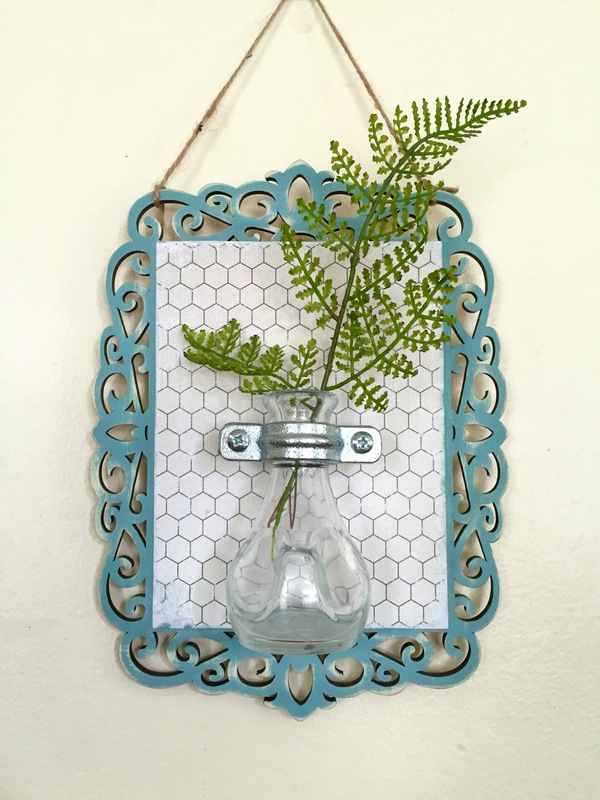 It's a pretty hanging flower vase sconce! "Hanging" being the key word here, folks. You don't run a house with 6 boys and not tie things down to the wall! I adore how a little paint, some decorative paper, and a vase filled with the happiest flower ever took this mystery craft item from meh to oooh la la! It's industrial chic meets farmhouse meets cuteness and I just want a whole house of these now! And look you can change out the greenery to match your mood! Callie, a mama to 4 is another person I love to follow over on Instagram (incase you haven't noticed yet, IG is the place to be!) Seriously, check out her beautiful home. You'll thank me later. You know what else I love? Chalkboards. In my humble opinion, they're like underwear, everyone should have them. And look at that, Callie agrees! 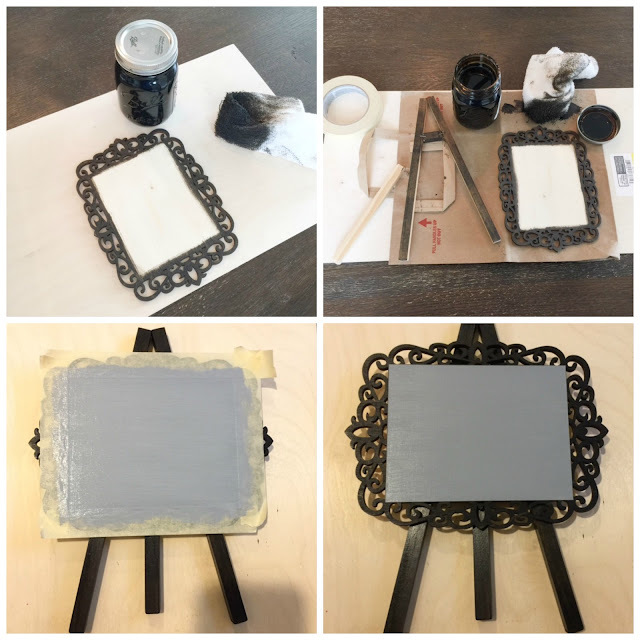 She made a mini chalkboard easel out of her mystery frame. Isn't it cute?! It's like a little fancy schmancy sandwhich board! I like how Callie didn't go with the traditional black chalkboard paint. Nope, she's a rebel, she went with grey. It contrasts soooooo nicely with the black paint on the trim of the frame. Let's wrap up this party with our 3rd reveal of the night, shall we? Coming from sunny Florida, let's talk about Darlene. 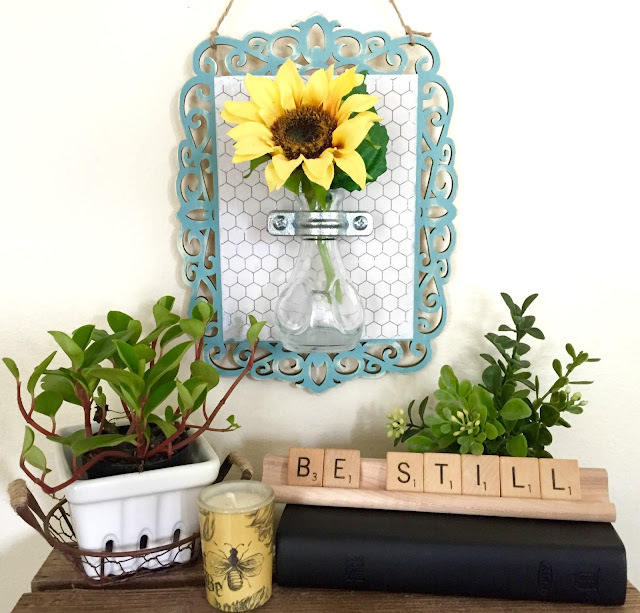 Darlene is a recent stay at home mom (you can find her here) who enjoys thrifting and crafting up budget-friendly DIYs. Her project will win over you list people. Yep, you know who you are. 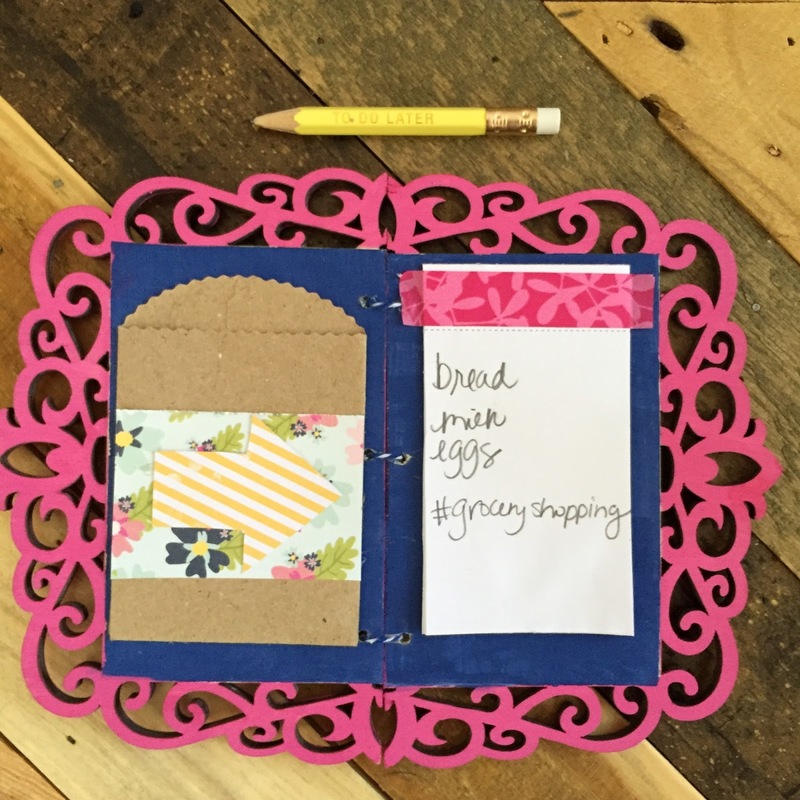 Darlene chose to create a personal to-do notebook! This is such a smart idea for those of you who like to carry notebooks in your purse. Think about it, unlike a paper cover, the wooden one can take a beating! I love how whimsical the laser cut trim looks on it and the colors and embellishments she worked with are so fun and cheerful. First, she cut the frame in half using a hand saw and then painted it. 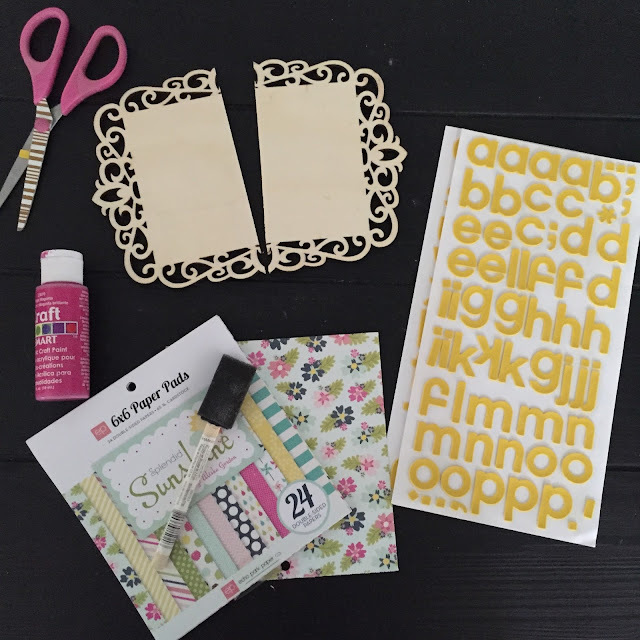 The scrapbook paper is adhered with Mod Podge (hmmm....thinking they should sponsor this considering so many of our crafters use their products!) After that she drilled three small holes in both sides of the notebook and used barker's twine to hold the book together. The inside is decorated with note paper, washi tape, and a paper pocket. This notebook makes me feel all bubbly and happy. It may actually motivate me to organize my life! VOTING STARTS THURSDAY, SEPTEMBER 1st. Soooo now that you've seen 10 projects reveals......let me hear which one is your favorite so far? Please feel free to comment below or come chat with me over on Instagram and Facebook. 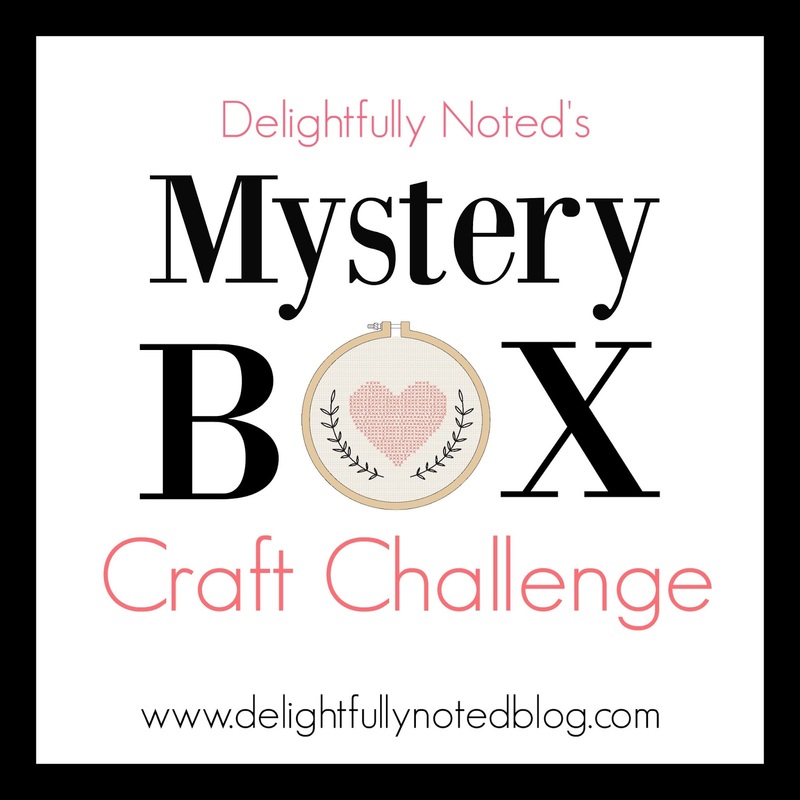 Check out #dnmysterycraft to follow the participants and this challenge. Three more very creative projects!! Especially love the little vase!